Long time no see... Again... Sorry! I also started school two weeks ago so I've been just trying to survive haha! Anyways, this month I've been loving a few things so I thought I would show you! First up, I bought this Timotei shampoo and conditioner at the beginning of August because they were only 1,99€ each, so I just thought "Well if it's crappy I don't waste a lot of money" but oh my gosh it's the best purchase I've ever made! It's for dry or damaged hair and I have that so it's basically made for me. It contains 100% natural Jericho Rose extract (very little amount though) and it contains no parabens or colorants (or so the bottle says). It also includes a few oils like coconut oil. 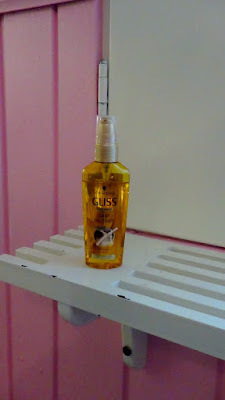 The brand is an Unilever brand (therefore not cruelty-free). The shampoo is really good, it cleanses my hair and makes it smell good (it has a flowery scent but somehow reminds me of christmas!) and the conditioner is just amazing. When I use these my hair is so soft and healthy-looking and I just make everyone touch my hair after using it. 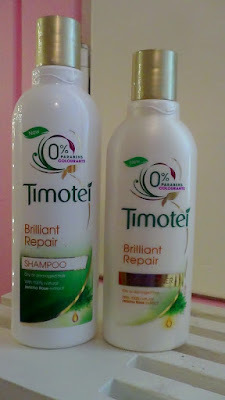 If you have 4€ to spare and can find this in your local drugstore then definitely get it! Next up is this Schwarzkopf GLISS Hair Repair Daily Oil Elixir for extremely damaged hair. I bought this some time ago but I've been using it more this month than before and I just love my hair when I use it. I put it in the ends of my hair after my hair has completely dried after washing it. I usually do two pumps. It just makes my hair feel super soft and easy to manage and my hair also feels healthier when using it. I'm not sure it actually does a lot but I don't have as damaged hair anymore as I used to so I guess I'm doing something right! This is around 7€! The next thing is also a hair product. 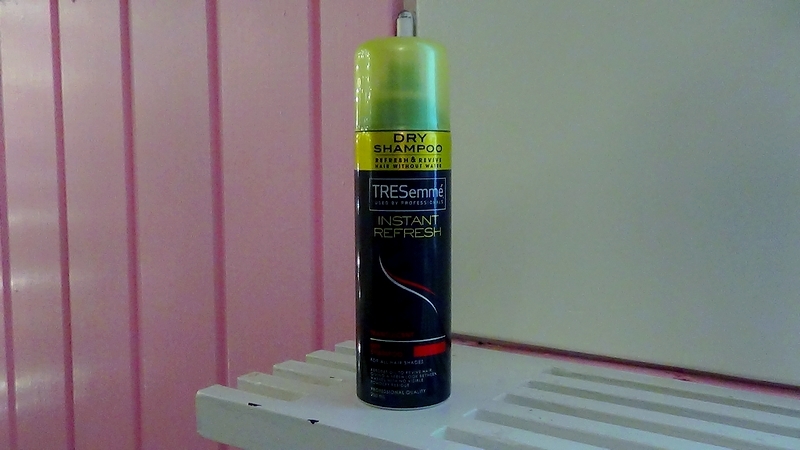 This is the TRESemmé Instant Refresh translucent dry shampoo. This was the first dry shampoo I ever bought and I think I'll buy this 'til the end of time. At 8€ (or something like that) it's affordable and does it's job well. I tried the Batiste dry shampoo but I didn't like that nearly as much as this dry shampoo. It just somehow works great and makes my hair look clean and washed when it just isn't. Now to some face stuff. 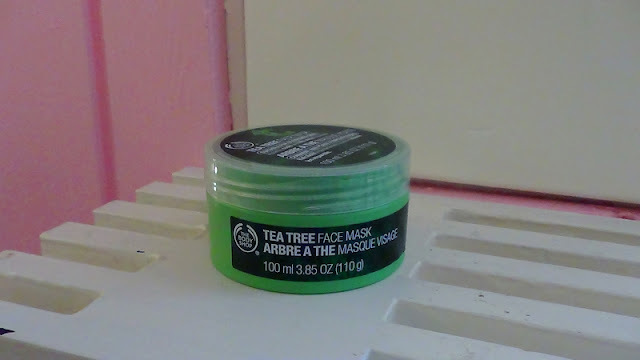 The Body Shop was having a sale on all facemasks, all facemasks was reduced to 15€ (from 21€). I had been thinking about buying the Tea Tree face mask for a while and when the sale came up I had to. The face mask is a cooling face mask for blemished skin and I have to say it feels super nice when it just kind of cools your face as you put it on. It's super smooth and personally I love the feeling of just relaxing for 15-20 minutes with a facemask while watching youtube videos so I've been doing that. I find that after I wash this of my face just feels super clean and refreshed and I feel that it does actually lift away impurities as the packaging promises. The only thing I don't really like about this is the smell but honestly, I can cope with it! 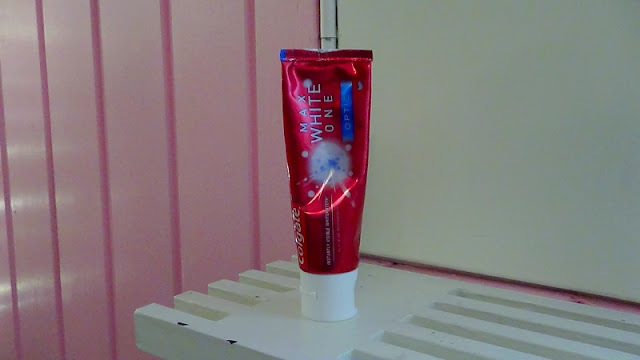 I wanted a new whitening toothpaste so I bought this. Yes, it's a toothpaste. It's the Colgate Max White One Optic toothpaste and it promises "instantly visible white teeth". I always want white teeth (I mean, who doesn't?) so I wanted to try this out. I don't know if it actually whitens my teeth but I feel like it does, but then maybe it's just an illusion. Though since I've been using this my mom has been telling me I have super white teeth. So I guess it works! This is around 4€ I think! Citymarket (drugstore in Finland) was having a Ben&Jerry's sale. You got to pick three 425g tubs for 10€ so I instantly jumped on my bike to get some icecream. 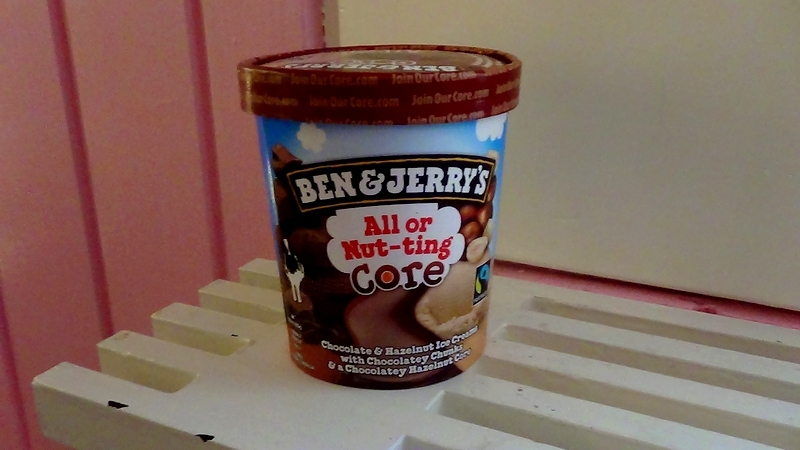 Since a 425g Ben&Jerry's normal cost over 6€ this was a bargain. I bought Peanut butter cup (which was okay but not that yummy), What-a-lotta chocolate cookie core (which I started on a few days ago and it's also abosolutely heaven) and All or Nut-ting Core which was my favorite of them all. It's just heaven on earth and I might've eaten it in 3 big go's. Oops. In August I've been reading a lot of the books I've got ages ago and never got through. 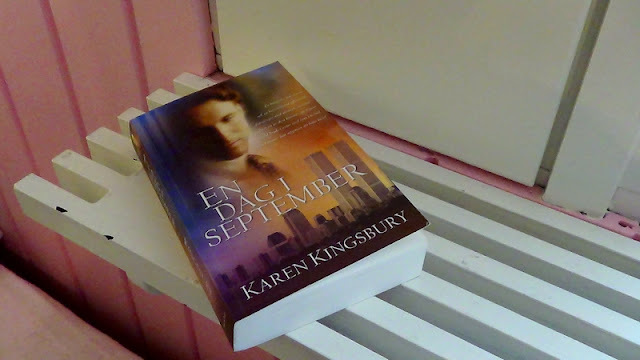 While I've read 5 books this month my favorite of them all was "One tuesday morning" by Karen Kingsbury. I read it in swedish though. Anyways, the book is about two identical looking husbands in USA. They're both married and the book follows the families in their lives and as 9/11 happens. What I liked about this book was that it had such a mindblowing twist in it that I never expected and the book had me hyperventilating and crying. From the moment I started reading it I was just hooked and it had me thinking about it whenever I wasn't reading it. I even had dreams about it! 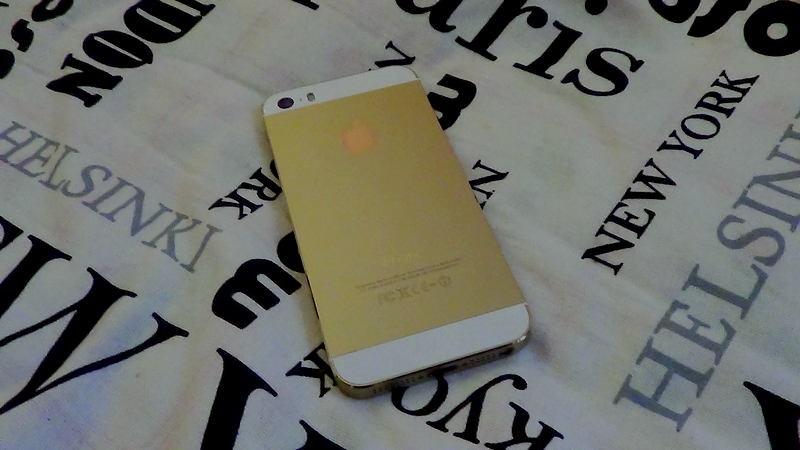 Last, but NOT LEAST, I GOT A NEW PHONE!! I had been suffering with a broken and full iPhone 4 for so long that I was super happy to finally upgrade to an iPhone 5s. IT'S GOLD GUYS. I'm just super happy, let me have my moment.